SMOOTH, STYLISH. Like the front, the rear has smoother lines and stylish LED rear combination lamps. POWER, EFFICIENCY. With a 1.5 K15B engine, the all-new Ertiga comes in 5-speed manual and 4-speed automatic transmissions. INNER DETAILS. Suzuki has added small details in the interior to make significant differences in the driving experience. A FRESH face is hitting the streets of Cebu: meet the all-new sleek and stylish Suzuki Ertiga, a vehicle that delivers both in form and function. 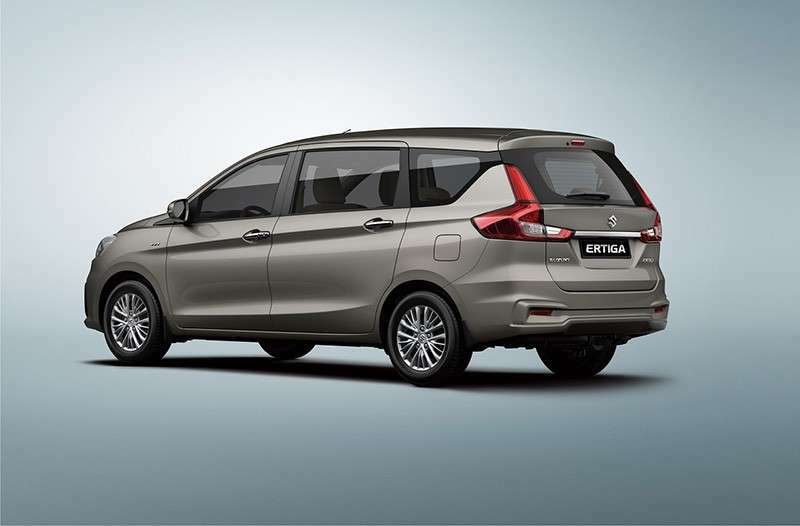 Launched just last month in Cebu, the second generation Ertiga keeps the qualities it is known for and elevates them. As Suzuki’s best-selling multi-purpose vehicle, this model has a lot to live up to and it looks like it can deliver. The new model is significantly bigger than its predecessor yet lighter — by six kilograms to be exact — and made possible with the use of ultra light tensile steel. This means lower fuel consumption and higher driving performance. The under body and components are also put together as a unified whole rather than separately to reduce noise and vibration. The 1.5 petrol engine (K15B) delivers greater fuel efficiency, power and torque than the previous model. On the outside, the Ertiga got a makeover with smoother lines, stylish headlamps, electric foldable side mirrors, LED rear combination lamps and 15-inch alloy wheels. The interiors are kept minimalist in a cream motif with wood-finish touches for a nice and subtle contrast. One amenity worth noting is the 10-inch touchscreen infotainment system that can play multimedia files. Suzuki has also added small details that make significant differences in the driving experience: ventilated cup holders that prevent cold beverages from getting warm, a banknote/coin holder for easy access when paying for parking or whatnot, and sliding and folding seats so passengers can enter the car easily and be adjusted depending on the number of passengers and volume of luggage. To note, this model has 40 liters more luggage space than the previous one. Both the driver and its passengers can ride assured that they are in a secure vehicle as the Ertiga is well-equipped with safety features. These include the anti-lock brake system to maintain steering ability in case of an emergency braking situation, the pedestrian injury mitigating system that enables the car’s surface to absorb force and lessen impact in the event of a collision with a pedestrian, reverse parking sensors, and an SRS airbag system. The all-new Suzuki Ertiga is available in seven colors: Cool Black Pearl Metallic, Burgundy Red Pearl, Silky Silver Metallic, Radiant Red Pearl, Snow White Pearl, Magma Gray Metallic, and Glorious Brown Pearl. It comes in either the 5-speed manual transmission or the 4-speed automatic transmission.